Ham, beaten eggs, cheese and cream melted into pasta. 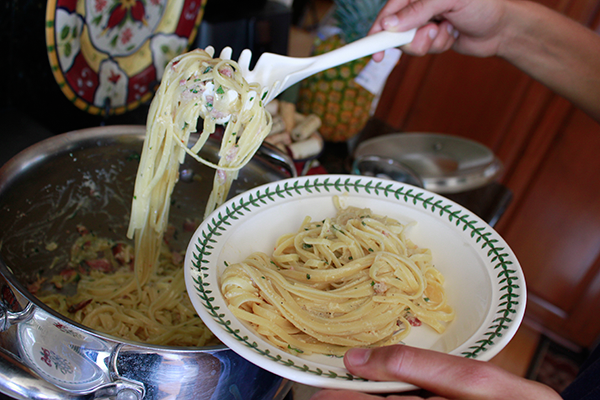 That's spaghetti carbonara. A great dish if you have some ham to finish up. The challenge is to make it tasty, and not too gluggy, so experiment a bit (Henz). 2. If using bacon, cut into pieces and fry. Remove and use oil to cook onions and garlic. 3. Cut up onions and garlic. 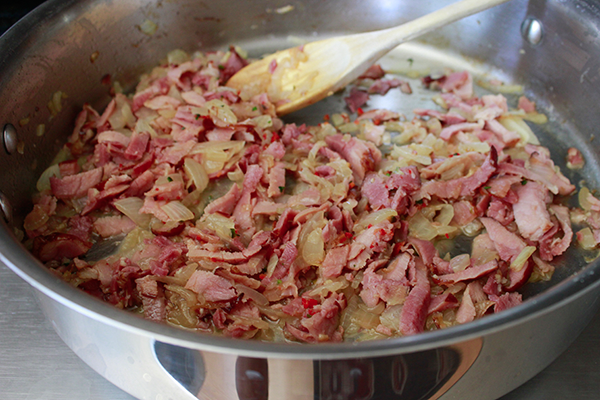 Fry up in a pan with oil (or bacon fat). "Shaving" the ham to make it quite thin. 4. If using ham, shave into thin slices around 2" x 1/2" then add. 7. 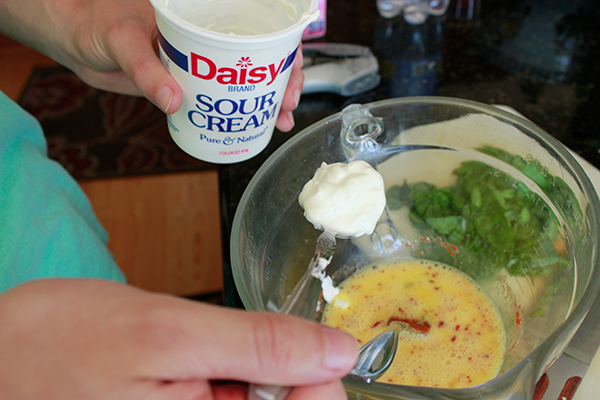 Mix eggs, sour cream, milk, paprika, cheese, salt, and pepper in a separate bowl. 8. 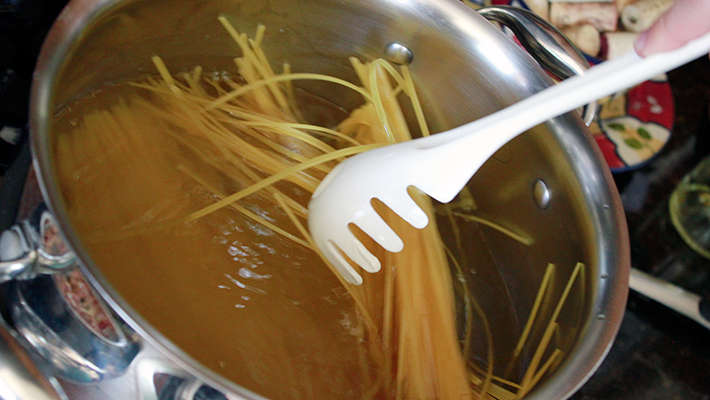 Once pasta is cooked, drain the water from the pot, throw in ham and onions, add chopped up jally, chopped up basil, and the egg mixture and toss (the stored heat in the pasta will cook the eggs).